You probably already know how services like Uber and Lyft, application-based ride-sharing services that hook people who have cars with people who need rides have revolutionized the urban lifestyle. If you are dreaming of living in Mexico part-time, you may not realize how car sharing services can put you one step closer to making your expat dream come true. Even a few years ago, the car issue made the idea of part-time life in another country a more difficult proposition. Living abroad even six months a year effectively doubles the cost of driving a car when you are at home. Car ownership is mostly a fixed cost, the same whether you drive it or not. Insurance is difficult to drop for six months a year and even if a car parked somewhere without being driven, it has to be insured. Then you have the matter of car storage. If you rent or sublet your house or apartment while you are in another country, where do you put your car if your tenant needs the space? Who keeps the battery charged? The cost to securely store a vehicle can be several hundred dollars a month, and cars don’t do well un-driven for extended months, or so all my ex-boyfriends have told me. Thirty-seven cities in Mexico now have Uber. What would it be like to cut the cord, give up cars entirely and just be driven around like a former presidential candidate (Hillary Clinton hasn't driven since 2006), living in the U.S. six months a year and Mexico for six months a year? Pretty cool as it turns out. While there is something that feels distinctly low-rent about having to take cabs (only in the U.S., I don't feel that way about cabs in Mexico), most of the cars I've ridden in through car sharing services were as nice as my past cars were. In fact, one of my drivers in Denver showed up in a brand new black Mercedes sedan (I almost refused to get out). In Mexico, the cars are nice, but tend to be very small, as gas is more expensive in Mexico. For whatever misgivings you may have about these car sharing services, consider what you won’t have to worry about, which is huge. impulse shopping trips - those times you go out to buy something you don’t need mainly because you are bored. the likelihood of having a car accident. I need to elaborate on this final point about the likelihood of getting in an car accident. You might argue that your Uber or Lyft driver is just as likely to get in an accident as you. I would argue they are not if you are spending six months a year in another country without driving. Driving is a skill that gets rusty when not practiced. Driving a car it is like riding a bike. If you have ridden bike every day since you were sixteen and then don’t ride one for six months, you'd notice a difference in your reflexes when you got back on that bike. Ironically, after all the talk about living "dangerously" in Mexico, expats often go home and get into car accidents in their own country. If you do keep your car, store that fact away and take special care when you get back behind the wheel in the United States. All skills get rusty. Should you keep your car? How much do you spend owning a car? Don’t forget taxes and parking meters. How often you need that car, really? Be generous with yourself. Better to calculate over than under on your needs. Now calculate what you could spend on Uber/Lyft for each week and still feel you were coming out enough in terms of money saved to give up the convenience. The amount needs to be more than a few hundred dollars. I felt that I could spend $300 on shared car service a month. That saved me almost $700/month, which I felt was worth the occasional inconvenience. As it happened, I didn't spend near what I’d budgeted. Averaging three $15 dollar trips three times a week, at less than $200 a month, I spent fifth of what owning car cost me. I still factor in $100 surplus for transportation costs, should I need to travel during “surge” periods when car services double or triple their rates, or if I want to rent a ZipCar or CarToGo for the day. I’ve had drivers who waited until I am in the door, helped with groceries and driven me around in a bad areas even when they’ve arrived at the address I’ve given them. I’ve met interesting, considerate people who are starting their own businesses, semi-pro athletes and amusing hipsters. I once met a screenwriter from Norway working on a sci-fi movie who just drove a few hours a day to clear her head. But nothing is perfect, or so I hear. I actually had to look online for negatives, as my friends have all had the same experience. Based on supply and demand, Uber, Lyft charge more during “surge times,” or when the demand is highest*; during a snowstorm, coming and going from big events or at 7:00 on a Friday night for example. That people living in America are surprised by this is more surprising than the extra charge. The services inform you if it’s a surge time and when it’s over. During these times, conventional cabs are often cheaper, sometimes much cheaper. Cab fares by law cannot fluctuate. I find that if I wait 10 - 15 minutes, the surge time usually is over. If I were a younger woman out drinking, I might consider taking a conventional cab or only accepting a female Uber or Lyft driver if I was alone. In researching incidents involving Uber and Lyft drivers, two things stand out. The incident usually involves a woman and often involves a drinking woman, or a woman perceived as drinking. I won’t debate the justice of this, only state the facts. Lyft drivers tell me that Lyft will be introducing a feature soon where women can request women drivers. Forums point out that car share drivers are not trained to deal with belligerent, disrespectful people (Cabbies are?). People who use cabs sometime seem to think they can act any way they want. Uber and Lyft drivers are not cabbies and you are riding in their personal car. Problems arise from distracting the driver, insisting on hearing your own music or telling them how to drive. Remember, you don't only rate your drivers, they rate you. Three stars may prevent you from getting a Lyft or Uber at an hour you need one the most. Take a little extra clothing in inclement weather. It’s rare but sometimes they can’t find you. GPS is no more flawless for them than it is for you and me. Lyft and Uber drivers depend on GPS more than cabbies do. Dress to be comfortable outside for at least 20 minutes. Very rare, but it's happened to me when waiting for a driver to take me from Denver's light rail stations to somewhere else. Anticipate where they will be approaching from and make yourself visible. They are a little less likely to hunt you down than a cab driver. They only have to look for your for three minutes. Be ready. An important criteria in your rating as a passenger is that you are ready. Recently, the app. has added a blue screen feature you can wave. Tips and ratings - I was surprised that so many drivers complained about the lack of a tip in spite of immaculate cars, bottles of water, car chargers, breath mints and other nice items they often carry. In addition to remembering to tip, understand that a three-star rating for your driver does not mean "average" by their scale. It means poor. Drivers can't fall under a 4.6. If they get you there safely and politely in a clean car, give them at least a four. When embarking on this plan of living without a car, I was worried my friends would feel obligated to take care of me. What I have found is that while I always use a car sharing service TO the party (luncheon, movie, concert), friends who live near my neighborhood almost always insist on giving me a ride home from shared events. We can wind down, re-cap the evening together and finish conversations. I always assume I'll be calling a car service but it rarely turns out that way. I put thought, and a deadline, on reciprocation for those rides home. I also factor those reciprocation costs into my transportation budget, costs like paying for a round, movie tickets or lunch at the first opportunity. 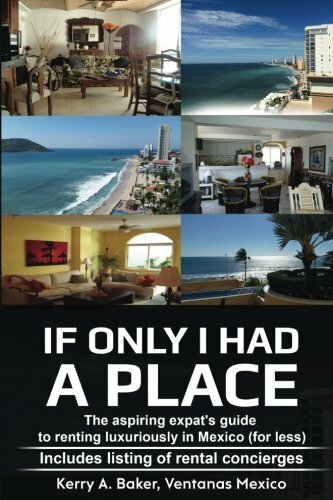 You will see in my blogs about living in Mexico, the expat life saves you a lot of money. Spreading a little of that bread on the water applies both at home and abroad. Not only do I save more than $700 a month on car ownership and possibly the worry over the well-being of a car when I’m out of the country, I use my bike and walk more. That being said, not having a car does have the potential to make you feel like you're in less control. Even when car ownership just isn't practical, as in the case of living in another country six months of the year. If you've owned a car since you were 16 the idea may be hard to get used to. Our attachment to cars is partly generational. Until recently, we have associated cars with freedom and independence even when they are anything but. Many younger people living in urban areas don't harbor such strong associations. More and more don't own cars even when they can afford them. To counter those feelings and protect your self-image, be generous with your transportation budget. Once you set the budget, don't deprive yourself. Take the bike or walk only when you want to. Lyft drivers tell me that people call them for destinations three blocks away. That's the spirit you should have about it. They are your car. Use the service whenever the hell you feel like it. Don't short-change yourself over a $7 Uber ride if you're saving $700 a month. Planning a two country life will force you to think in new ways about housing, transportation and communication, ways that ultimately will make you feel 20 years younger, and freer than ever. Uber is available in Mexico too, and it's just as fabulous. Plus you can practice your Spanish with Uber Confessions. "No Parking Here" by Mother Jones. The end of our relationship with our cars as we know it. Up next: Get ready for a new language in a new year. Most recent: The Mexican email: Expect to be Seduced. * The least expensive Uber basic fare is $1, per minute .16, per mile $1.10, a cancellation fee is $5, a minimum fare is $4.95. Hola, - I am a partner with Ventanas Mexico which provides insight and resources to people considering part-time expat life in Mexico. 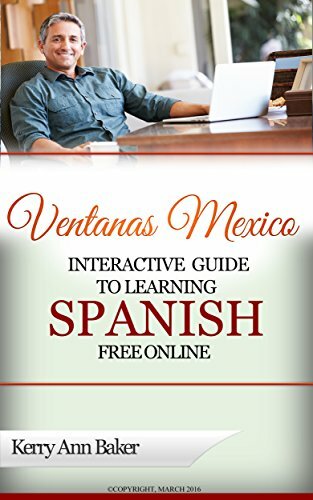 I am author of the "Interactive Guide to Learning Spanish Free Online," a curation of the best Spanish language tools on the web, and "If Only I Had a Place" a new book on renting in Mexico with a lot of info realtors can't or won't tell you.